Our “Heart and Soul” is our patrons. We pride ourselves by using only the freshest ingredients and preparing the finest foods daily. Our Menu changes monthly to accommodate a large variety of delicious and nutritious meals. All meals are delicious, healthy and nutritious. Our residents do not have the same meal requirements. 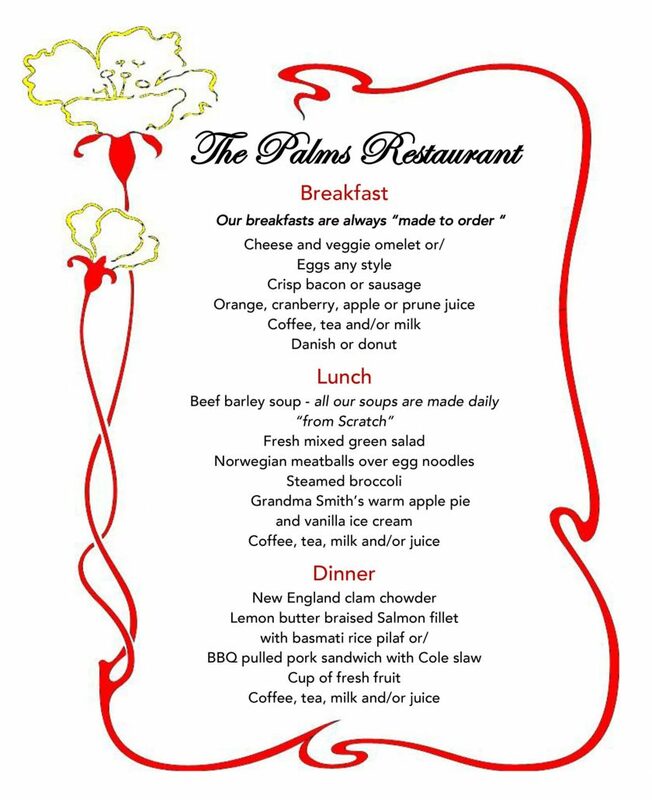 Residents with special dietary and preparation needs have a menu specifically designed for them. If there is a certain food that you like “Just Ask” we are happy to make it especially for you. Provide heart-warming service with a smile. Every person that dines with us leaves happy!